after successfully building the SP project inside VS 2012. Operation is not valid due to the current state of the object. C:\customFields.wsp: The Solution installation failed. can anyone adivce on this please ? Browse other questions tagged visual-studio solution-package deploy or ask your own question. 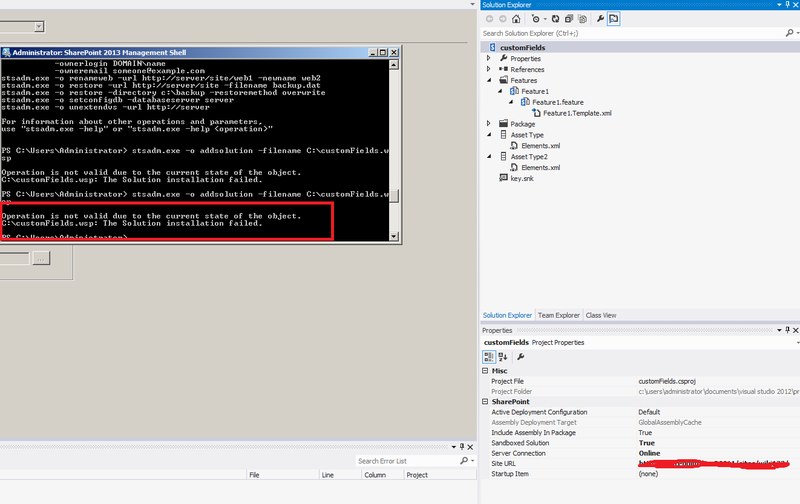 How can I run post-package commands in Visual Studio 2010?